These robots don't want to fight. That's why you have to pick the winners. Get your own full-size printer-friendly bracket and start your own high-stakes office pool. Voting is now closed for this round. See the results of these battles here and vote on the Elite Eight matchups here. Get it now! Your full-size, printer-friendly tournament bracket. These robots don't want to fight. That's why you have to pick the winners. After two weeks of "battling" it out, our field of nonviolent robots is down to 16 competitors. Voting is open from now until Sept. 17. Check back then for the results of this round and vote on the Elite Eight matchups. Fittingly pronounced "awesome-o," Honda's amazing humanoid bipedal robot, is this year's tourney favorite, and with good reason. It's already been inducted into the Robot Hall of Fame. It climbs stairs. It looks like an astronaut. And most unfortunately for its opponents, it has some pretty sweet dance moves, as this video can attest. The demonstration-winning robot from this year's Robo-One 11 event in Japan is built for entertainment. Known to his friends as "Li'l Clompy," OmniZero.4 climbs ladders, skips rope, breaks the hell out of eggs, and politely bows. Sure, he can be physically intimidating if you're an egg or 1 foot tall, but everyone else can just kick him into a swimming pool if he gets confrontational. (1) Asimo vs. (3) OmniZero.4: Who wins? Another robot that could potentially do some damage if you're not paying attention, the Beer-Launching Fridge holds up to 10 cans of delicious beer and flings them to you so you don't even have to get up. Unfortunately, at this point, you'll have to know designer John W. Cornwell personally, because he has the only one. But he may build more. One can hope, or at least buddy up to him on Facebook. The robotic star of two Spoon videos (one unofficial one, and one official one) has the most soul of any Nerf robot we've ever seen. In addition to bass (which it picks up through its nose mic), the secret to Hideki Kozima and Marek Michalowski's head-bobbing robot is in its base. Base! How low can you go? (4) Beer-Launching Fridge vs. (2) Keepon: Who wins? When most people consider the concept of a robotic dinosaur, thoughts of mechanical T. rexes and velociraptors duking it out on a rickety bridge over a flaming pool of tar come to mind. Ugobe's Pleo is about as far away from that image as possible. He's cute, cuddly, "learns" things as time passes, develops moods and personality traits, makes grunting noises, and is slated to be in stores in October for around $250. However, the robot version of Carl Everett doesn't think Pleo exists. Any votes for R.O.B. will come straight from nostalgia, because Nintendo's game-playing robot sure didn't have many gaming skills. With only two compatible NES games (the forgettable "Gyromite" and "Stack-Up") and molasses-slow movements, R.O.B. was rarely part of any old-school gaming session beyond his first foray out of the box. These days, R.O.B. has hung up his Gyro Blocks and now has his own MySpace page. (1) Pleo vs. (6) Nintendo R.O.B. : Who wins? Another selection from the ultracompetitive WowWee Conference, Robosapien has a bunch of tricks. Namely, belching, farting, caveman noises, dancing, and more farting. That's a nice little repertoire for $50, and Robosapien's hacker-friendly innards have paved the way for some sweet mods. This is another dark horse with an enthusiastic fan base that may propel it to the late rounds. It is also good at farting. Hey, where's Aibo? Sorry. Sony's robo-dog was pummeled in the Sony conference finals by this lesser-known humanoid robot. Face and voice recognition, communication skills, and memory were some of QRIO's noticeable traits, but its smooth, fluid dancing moves (showcased in this Beck video) were QRIO's main drawing point. Development on the robot was halted before it hit store shelves, but you can't blame that on QRIO. (4) Robosapien vs. (2) Sony QRIO: Who wins? The only robot in this year's competition that is (allegedly) the subject of a Radiohead song, Marvin's vast intellect is both his strength and his vulnerability. He may be too mired in depression and bored with this trivial tournament to even put up a good nonfight, or he may completely destroy the competition by employing his 5.5 million IQ. Either way, the championship is there for big number 42's taking if he wants it badly enough. Decisions, decisions...Would you cast a vote for C-3PO just because you love Star Wars? Or does this droid's incessant nattering and worrying grate on your last nerve? Threepio's fate could go either way in this competition, which makes him one of the more intriguing tourney competitors. 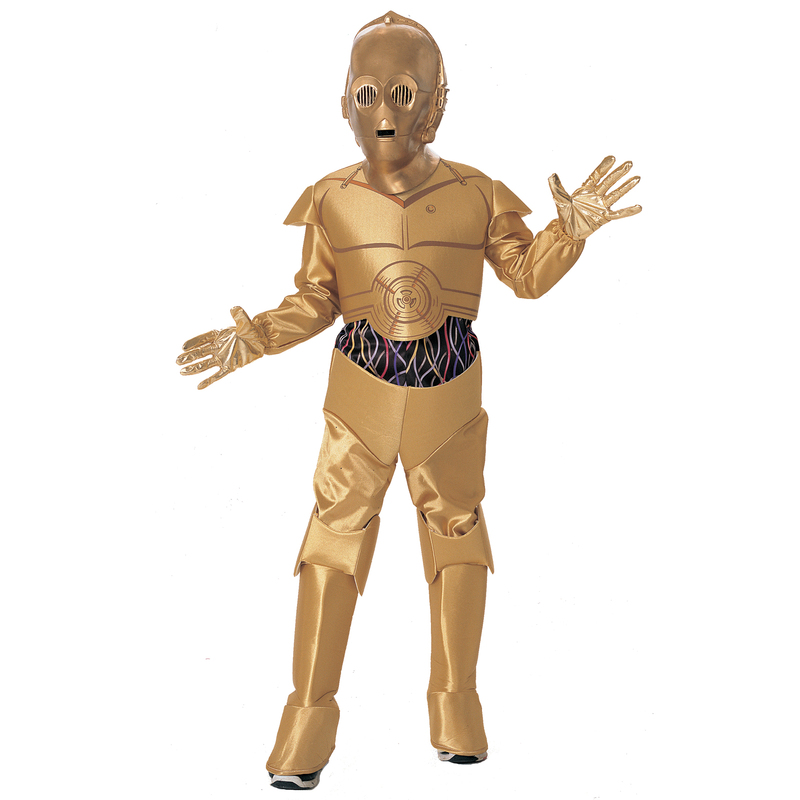 Two things I will say for C-3PO: No one would understand most of the stuff R2-D2 said without his reactionary dialogue, and his Halloween costume is best accompanied by creative use of jazz hands. (1) Marvin the Paranoid Android vs. (6) C-3PO: Who wins? He may be "alive," but he's still a robot. Johnny Five's distinction in the tournament, other than his unparalleled knowledge of pop culture and classic literature, is that he's the only robot that has been arrested. For the purposes of nonviolence, it's important to note that this is the Short Circuit 2 version of Johnny Five, the one with the toolbox instead of an on-board laser. Whereas most movie robots can just crush anyone mercilessly with a combination of brute force and laser beams, D.A.R.Y.L. takes a more down-to-earth approach. He will obliterate your high score in Pole Position, make any Little League pitcher's ERA balloon to double digits, and ruin the grading curve on tests. (5) Johnny Five vs. (2) D.A.R.Y.L. : Who wins? Despite the bidibidi-bad haircut and the inconsistent silver-or-gold color scheme, Twiki is a player to be reckoned with. The reason for such a high seed? Twiki's actually a double threat, thanks to the fact that he wears another robot--Dr. Theopolis--on his chest like Flavor Flav's clock. Yeaaaaah bidibidi-boyeeeeeeee. (1) Twiki vs. (6) Data: Who wins? Yes, K-9 has a laser in his nose, but he ain't gonna use it unless the good doctor tells him to. His top weapons are intelligence and mobile database serving. What K-9 lacks in visual sophistication, the robot dog more than makes up for in sheer loyalty. All that persistence has paid off for K-9, too: He's getting his own spinoff series in 2008. With Bender, the TV Division has one of the most potentially violent nonviolent robots in the competition. Bender's personality is a volatile cocktail that could blow a fuse at any second: He drinks with the best of them, has a smart mouth, and enjoys bending things. The Futurama star may also have the biggest fan base in the tourney. (5) K-9 vs. (2) Bender: Who wins? All scores represent percentage of votes, but let's pretend it's like a basketball game.